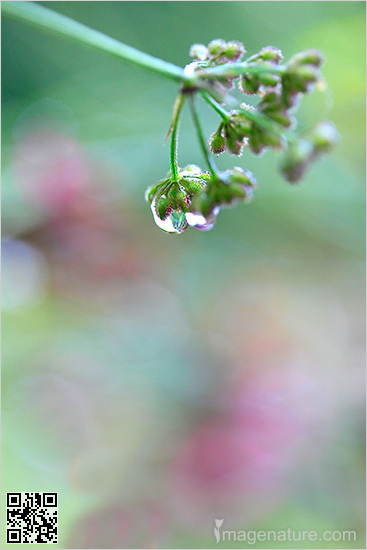 Caption: Simple image of rain drops on green grass with natural background. Nature abstracts. Images of nature.